Stained Page News is a weekly cookbook newsletter. Hello there, cookbook fans. Welcome to your first sleepy-summer-schedule issue of Stained Page News. We’ve got some fun stuff this week, including a recipe from SF chef Chris Kronner’s A Burger to Believe In (spruce up those 4th of July burgers! 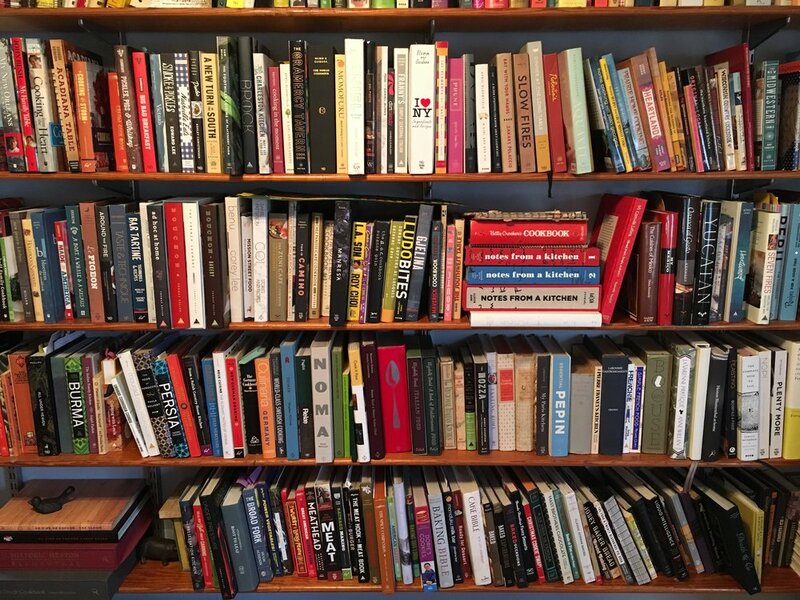 ), a cookbook recommendation query from a reader, and all kinds of deal news. Let’s get to it! Woolever expands on that: “After working with and collaborating with Tony since 2004, I’m honored to now be working with his estate, and talking to the people who knew him best.” The book will cover “the story of a life that influenced so many people, in so many ways, all across the globe.” Can’t wait to read it. Reader Recs: Cookbook for a 10-year-old? My nephew turns 10 and I'd love to get him a cookbook. He loves cooking, and will sometimes cook Shabbat dinners for his family. He bakes too. Not looking for a specifically kosher book, just one that would be good, exciting and teach him well. The first thing I think of here is a book on basics. Not because your nephew isn’t talented—I’m sure he’s quite skilled in the kitchen—but because you need to learn the rules before you can start to break them. If you can wait that long, Rose Levy Beranbaum’s Rose’s Baking Basics comes out in late September, and Yotam Ottolenghi’s Ottolenghi Simple is out in October. But if you need something now, my absolute all-time favorite recommendation for cooks (young or not-so-young!) who have a baseline knowledge and want to get to the next level is Martha Stewart’s Cooking School. Martha Stewart may not be the flashiest name in the game, but she knows what she’s talking about and has just enough of a tendency towards the old school to be interesting, in a baby-steps-towards-Bocuse kind of way. Also, her recipes always work. Bonus. All of that said, middle school aged boys, in my experience, love Alton Brown. Maybe the TV show more than the books? But if he’s already hooked on that Bill-Nye-in-the-kitchen vibe, I’m Just Here for More Food has tons of baking intel. All deals via Publishers Marketplace unless otherwise stated. Farmer Lee Jones will write The Chef’s Garden: A Modern Guide to Common and Unusual Vegetables with cookbook author Kristin Donnelly for Avery. The book will be “a guide to the way we select, eat, cook, grow, and understand vegetables today, with nearly 600 vegetable entries, including some never before covered, presented in with color photographs, tips, and tasting notes for each, as well as 150 vegetable-forward recipes,” which sounds pretty epic, honestly. Also very curious about these vegetables no one has ever covered before?! In other book deal news: Aldo Sohm, wine director at Le Bernardin/Aldo Sohm Wine Bar will write a wine book with Bon Appetit’s Christine Muhlke for Clarkson Potter. Eric Alperin, founder of Los Angeles speakeasy The Varnish, will write License to Spill, “a fly-on-the-wall perspective of the joys, pains, and peculiarities of life behind the stick” for Harper Wave. 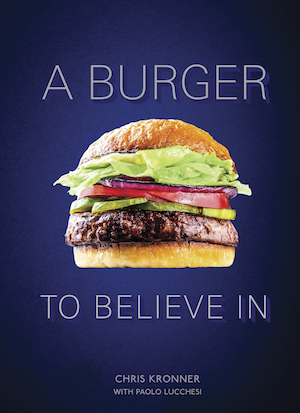 From A Burger to Believe In by Chris Kronner and Paolo Lucchesi. Reprinted with permission from Ten Speed. The cheddar mayonnaise hits the richness of mayo and the spicy, acidic flavor profile of mustard, with the textural benefits of both. It references the sauciness of melted American cheese, but with a lot more flavor and no chemical stabilizers. Also, turning the cheese into a mayonnaise is fun. Makes 3 cups, enough for 12 to 20 burgers. Add the egg yolks, vinegar, mustard powder, and salt to a food processor and process until combined, about 30 seconds. The volume should increase by about half. With the processor running, very slowly pour in the oil, almost at a drip, and then gradually increase the speed of the pour. If the oil starts to build up on the surface of the sauce, slow down the pour. The mixture will slowly thicken and ripples will form, as the mayonnaise’s texture gradually builds. When you’ve added all the oil, add the cheese and process until completely smooth. Store for 1 to 2 weeks in the refrigerator. Serve cold.